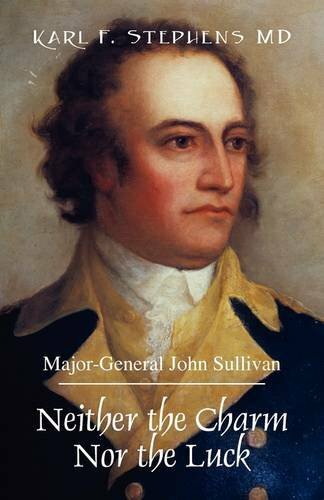 John Sullivan was one of the original Major Generals in the Continental Army. During the Revolutionary War, Sullivan found himself in the middle of diplomatic negotiations with the British enemy, then causing diplomatic trouble with our French friends. Sullivan is unbelievably important to the American Revolution, which means today we will only cover the first half of his career. Make sure you come back tomorrow to learn about his famous Expedition. New Hampshire’s John Sullivan had long supported the radicals in Boston when he was chosen, along with Nathaniel Folsom, to attend the First Continental Congress. After signing the Continental Association, calling for a boycott of British imports, Sullivan returned home. One month later, he led a second raid on Fort William and Mary (the overlooked first battle of the Revolutionary War) and carried off a pile of muskets and several cannons. The following spring, Sullivan journeyed back to Philadelphia to attend the Second Continental Congress, this time with John Langdon. Sullivan argued for the establishment of the Continental Army and, when this was done, received appointment as a Brigadier General. After participating in the Siege of Boston, Sullivan was sent by General Washington to Quebec. Upon arrival, John took charge of a failing mission and quickly ordered a retreat. Several Congressmen tried to blame him for the loss, but this backfired and instead he was named a Major General. Sullivan was then chosen as second in command to Israel Putnam in the failed Battle of Brooklyn. Seeing his army in trouble, John rushed the enemy firing a pistol in each hand. Despite his courage, he was captured and taken as a prisoner of war. Sullivan’s high rank led to his quick release, on the condition that he would ask the Continental Congress to establish peace talks with the British commanders. This was agreed to and led to the Staten Island Peace Conference, a meeting from which little was expected and, therefore, little came. John returned to the field in time to participate in the Battles of Trenton and Princeton. He then led a raid on Staten Island but was turned away. Although he was again criticized by Congress, a Court Martial cleared him of any wrongdoing. Sullivan was then sent to command troops in Rhode Island where his major responsibility was to greet the French Navy and work with them to remove the Redcoats from Newport. Unfortunately, the French had sailed through a serious storm and many of their ships were in need of repairs. This, in addition to the arrival of a British fleet, forced Admiral D’Estaing to make land in Boston. Because of the change, Sullivan was forced to fight the Battle of Rhode Island without French support. His men were overwhelmed which led to a quick retreat. John wrote an angry letter to D’Estaing, blaming him for the loss and accusing him of cowardice. Fortunately, the arrival in Boston of the Marquis de Lafayette was timely and led to the cooling of tensions before the situation turned into an international incident. Don’t forget to follow this site to get the second part of Sullivan’s life tomorrow! Benedict Arnold Was an American Hero? Want to read a great biography of John Sullivan? ‘Neither the Charm Nor the Luck’ is a fun biography about this extremely important and interesting character. Pick up a copy through the Amazon affiliate link below (you’ll support this site, but don’t worry, Amazon pays me while your price stays the same) but be warned, it is very rare and therefore expensive. Want to make sure you don’t miss tomorrow’s article? If you wanted to support this site by becoming a Patreon Member you can do that here. Thanks for your support!